I used a package of delicious wild-caught Alaska pollock and a pack of wonton wrappers to create this cute mini fish tacos recipe. You can find both fresh and frozen Alaska whitefish year-round, but being in the Midwest, I most often use frozen — and that’s fine; it thaws out so nicely! 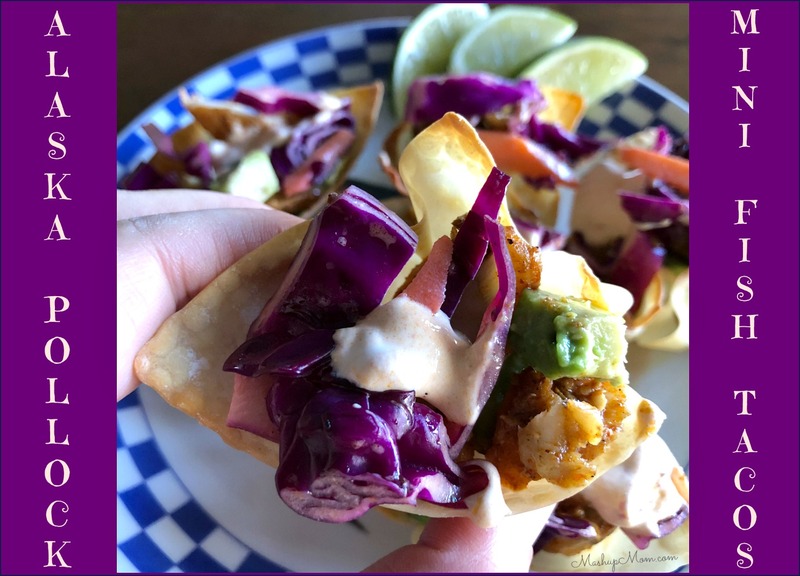 I’m always trying to find more ways to incorporate seafood into my family’s diet, and here you’ll find that the soft & flavorful Alaska pollock goes so well with the crunchy mini taco cups, cabbage slaw, and creamy chipotle sour cream. I’m always happier using sustainably sourced seafood harvested in the U.S., and nearly 60% of that comes from the cold waters of Alaska’s wild fisheries. “Ask for Alaska” everywhere from your local grocer’s seafood counter to your local restaurants as an easy way to help your family eat more U.S. caught seafood. 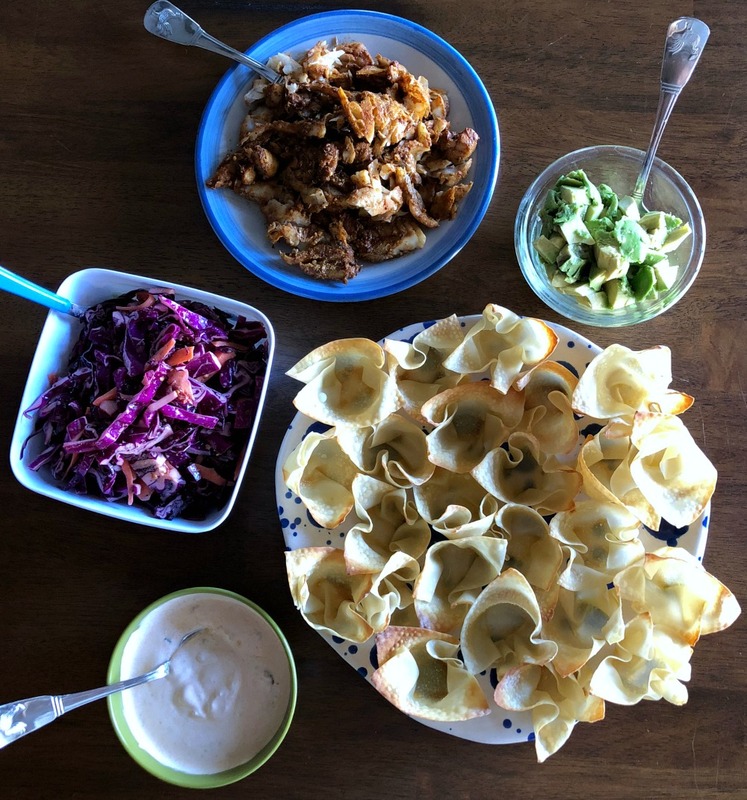 First we’ll make the chipotle sour cream and cabbage slaw, so you’ll be all ready to get assembling when the seasoned Alaska pollock and the wonton taco cups are done. To make your chipotle sour cream: Mix 1/2 cup sour cream with 1 minced chipotle pepper and 1 Tbsp of chipotle sauce, along with a little sea salt to taste. Cover and refrigerate until needed. 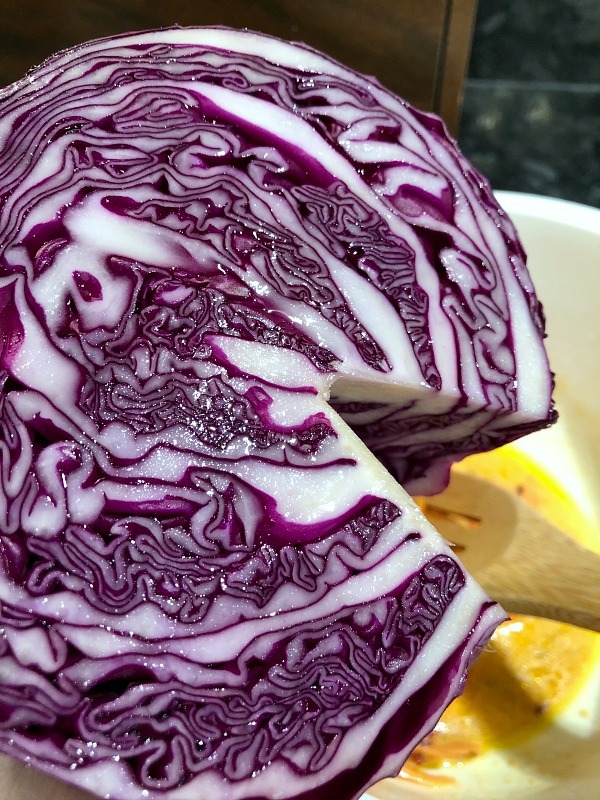 To make the cabbage slaw: Combine lime juice, chipotle, sour cream, olive oil, and sugar in a large bowl. Stir in cabbage and carrot until nicely coated, then season with sea salt and black pepper to taste. Cover and refrigerate until needed. Now, let’s make the cute little wonton cups! Once the toppings are done, let’s start the wonton cups baking and get the fish going. Start by preheating the oven to 350 degrees, and spray the bottom of each cup of a 24 ct mini muffin tin with cooking spray. And now on to the main event, your seasoned Alaska pollock! 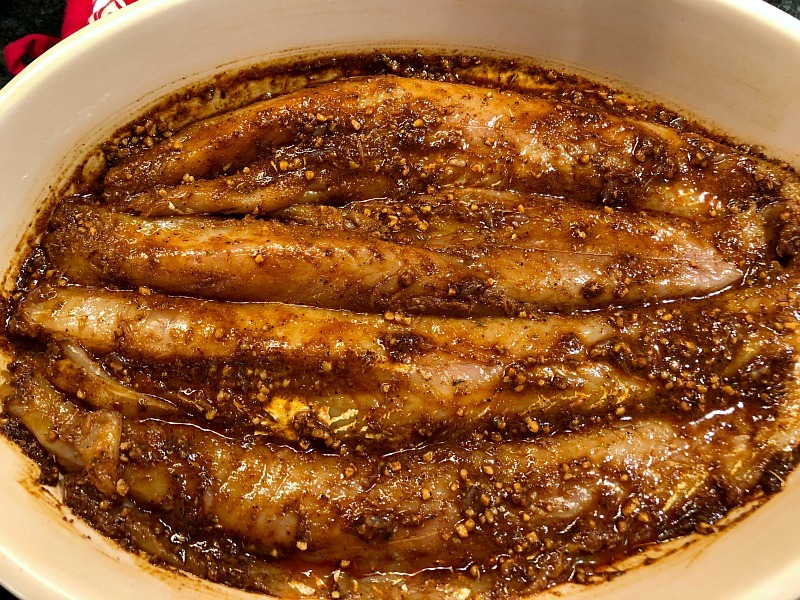 While the wonton cups are in the oven, place your Alaska pollock in a baking dish. Combine the lime juice with chili powder, cumin, cayenne, smoked paprika, oregano, black pepper, garlic, and Kosher salt, then cover both sides of the fish with the lime/spice marinade and let it sit for about ten minutes. Break the cooked Alaska pollock into small pieces with a fork. Arrange your empty baked wonton taco cups on a large platter or tray. Fill each cup with the sauteed seasoned Alaska pollock and a little diced avocado, then top them with the optional cabbage slaw & chipotle sour cream. 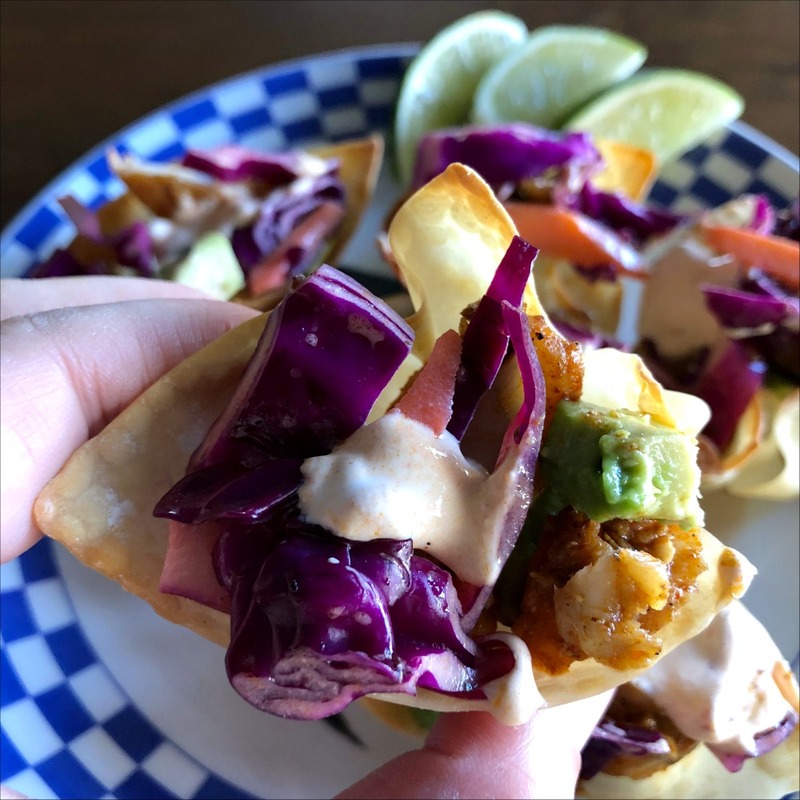 Note: It’s easy to make this kid-friendly mini fish tacos recipe fit different tastes, just by omitting the chipotle sour cream and/or cabbage slaw. Most of the heat in this recipe is in the toppings, making these super customizable to tiny taste buds. Have you tried Alaska pollock yet? And here’s one way to get your family to eat more seafood: Make. It. Mini! 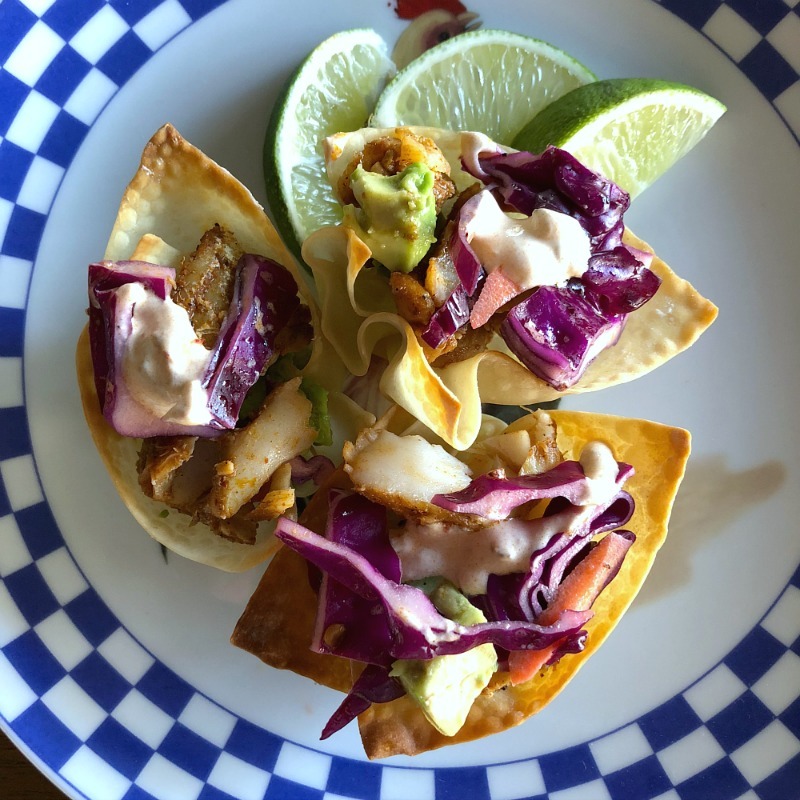 (Mr. 11 was a huge fan, and put away an inordinate number of these…) Print the entire fun mini fish tacos recipe below, and let me know how your family enjoys theirs. You'll find that the soft & flavorful Alaska pollock goes so well with the crunchy mini taco cups, cabbage slaw, and creamy chipotle sour cream. First we'll make the chipotle sour cream and cabbage slaw, so you'll be all ready to get assembling when the seasoned Alaska pollock and the wonton taco cups are done. Now, let's make the cute little wonton cups! Once the toppings are done, let's start the wonton cups baking and get the fish going. Start by preheating the oven to 350 degrees, and spray the bottom of each cup of a 24 ct mini muffin tin with cooking spray. 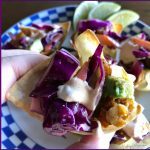 It's easy to make this kid-friendly mini fish tacos recipe fit different tastes, just by omitting the chipotle sour cream and/or cabbage slaw. Most of the heat in this recipe is in the toppings, making these super customizable to tiny taste buds.